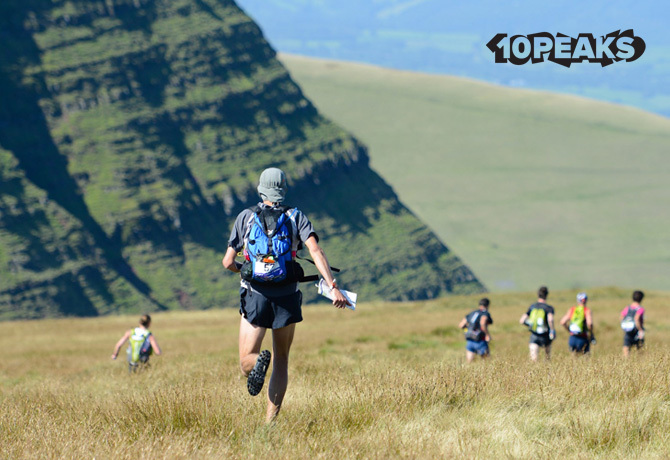 We are delighted to confirm that Kong Adventure will be taking over the organisation of 10Peaks™ The Lakes and 10Peaks™ Brecon Beacons with immediate effect. After two years at the helm of 10Peaks™, Shane Ohly from Ourea Events has confirmed today that ownership of the two events has been transferred to Keswick based Kong Adventure. 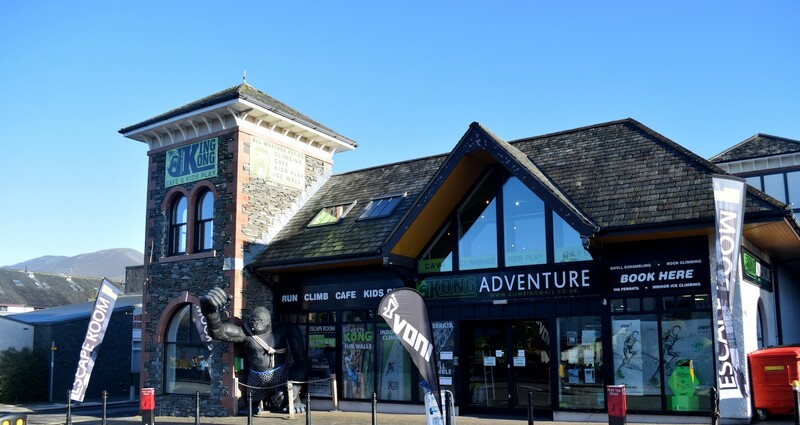 Kong Adventure organise the popular Kong Winter Fell Series in the Lake District and have a fantastic climbing wall and outdoor shop in the centre of Keswick. 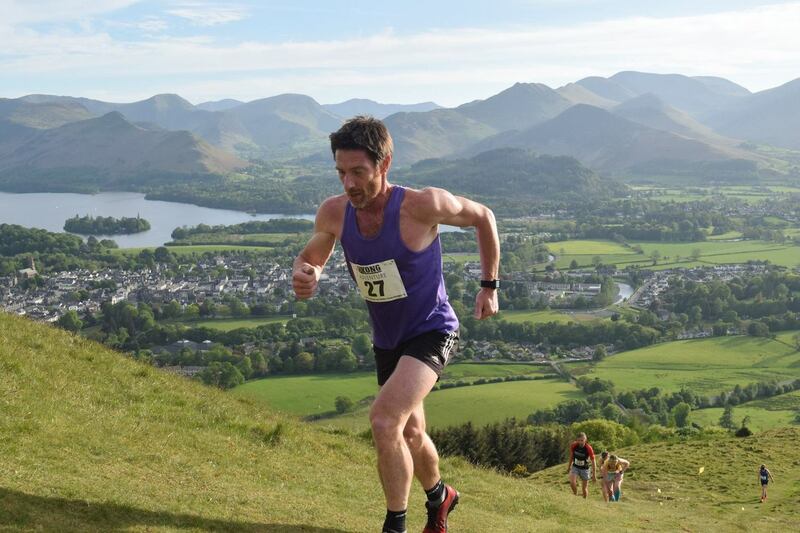 Kong Adventure is owned by the highly respected Cumbrian fell runner Paul Cornforth. The Kong Adventure shop and climbing Wall in the centre of Keswick. 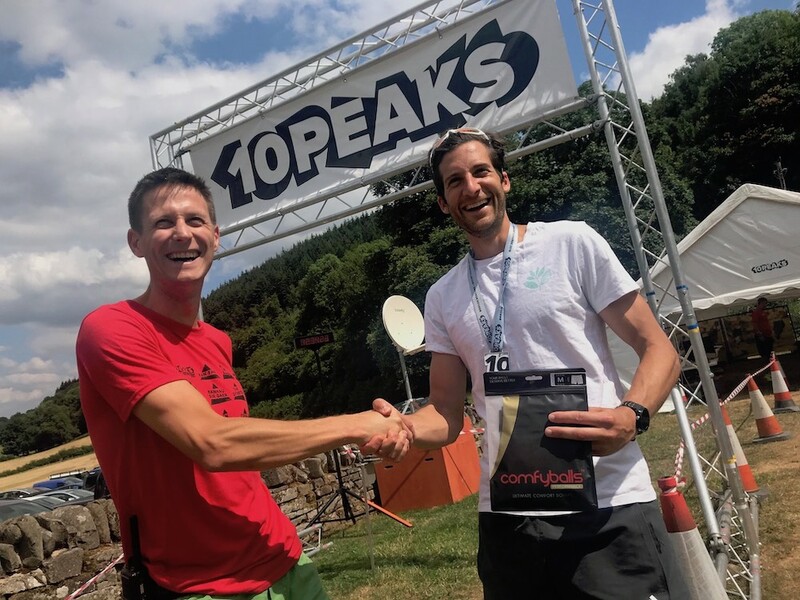 Shane Ohly congratulating the 10Peaks™ Brecon Beacons 2018 Short Course winner Rob Forbes. The Lakes was the first 10Peaks™ event set up by Paul Smith in 2010, before Mark Bottomley joined Paul in 2013 and took charge of the Brecon Beacon’s 10Peaks™. Paul and Mark continued as a team organising the two races until 2017 when Ourea Events™ took over the management. 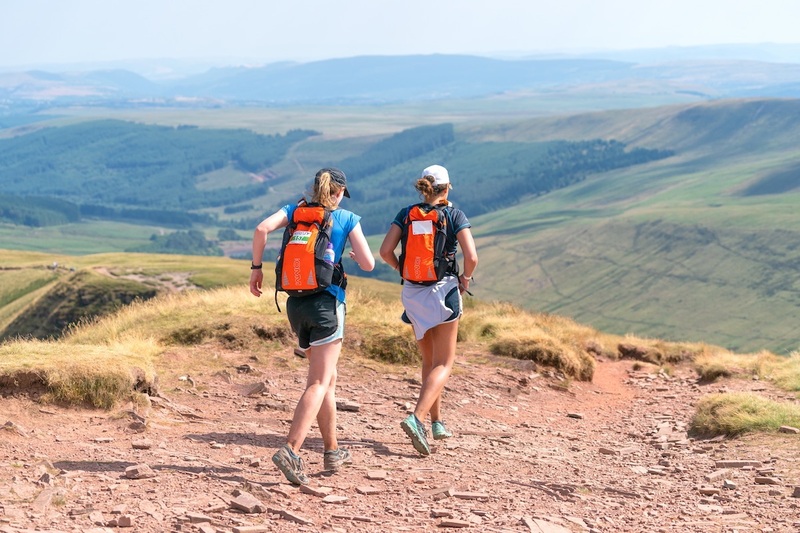 The enduring popularity of the events has sustained them year to year with cracking courses that take on some of the best mountain running in the Lake District and Brecon Beacons National Parks. Paul Cornforth from Kong Adventure said, “We are very excited to be taking over these two fantastic events from Ourea. With the Lakes event starting on our doorstep, we felt it was just too good an opportunity to miss. We are looking forward to supporting the 10Peaks™ events and the regular participants who love the tough and challenging races. With our experience of organising the Kong Winter Fell Series and a lifetime of fell racing we will be really focused on the long-term success of the two 10Peaks™ races. We can’t wait to welcome all the regulars to Keswick in June 2019. Entries for both the 2019 10Peaks™ events will open shortly. Sign up for the 10Peaks™ newsletter now. 10Peaks™ Brecon Beacons followed the trend of 10Peaks™ Lakes with another brilliant weekend of summer weather. Certainly, the hot conditions made for super-tough running in the mountains for everyone taking part, but the dry underfoot conditions will have also helped speed; course records for both the male and female records on both the long and short courses were smashed! Special congratulations to our new course record holders Beth Pascall, Galen Reynolds, Mary Gillie and Rob Forbes. Galen also currently holds the Lakes course record! The warm conditions also challenged us as the organising team as we tried to supply sufficient water to each of the support points during the day. At peak times this meant keeping four separate locations supplied. Overall, with near perfect weather for all our events this year, starting with Marmot Dark Mountains™ in January, followed by the SILVA Great Lakeland 3Day™ and the Cape Wrath Ultra® in May and then the two 10Peaks™ events in June and July, I am beginning to wonder what is in stall for us later in the year at Salomon Skyline Scotland™, which is hosting the Skyrunning World Championships this September. 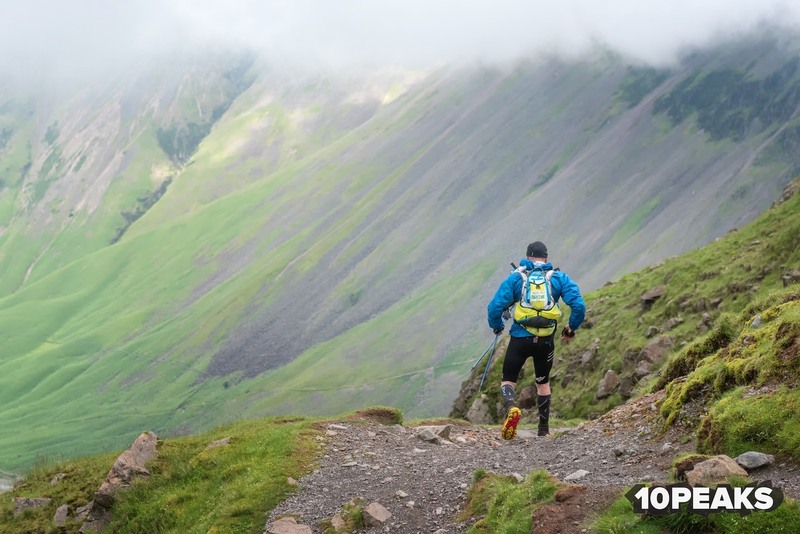 I wanted to highlight Salomon Skyline Scotland to the 10Peaks™ runners because the distance, height gain and terrain of the Salomon Ben Nevis Ultra™ would really suit the running participants in both the 10Peaks™ events, and there are still a few spaces left! Lining up against the very best Ultra Skyrunners in the world and seeing how you compare on the same course is a rare opportunity, and I would like to extend a special invite to all our 10Peaks™ participants to join us in Scotland for this extremely special long weekend of skyrunning on 13-16th September later this year. 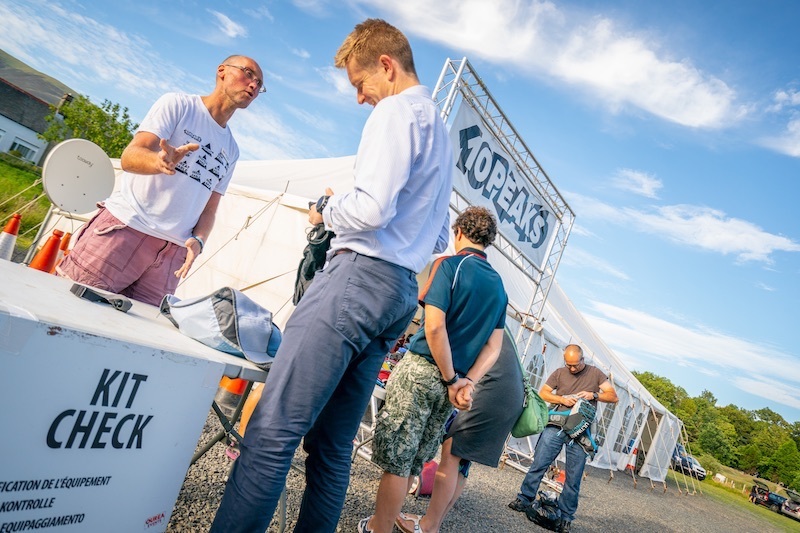 I am looking forward to sharing our plans for 10Peaks™ 2019 events with you all later this year. Please check out our Facebook page to re-watch highlights of the action from the Brecon Beacons in both photos and videos – and don’t hesitate to tag all those known to you in photos, share posts and your photos from the event. Don’t forget to have a browse through both our Instagram and Twitter profiles too and follow to keep up to date ahead of 2019! Feedback from anyone who engaged with the 2018 race, from participants through to audiences keeping updated via news/social media/tracking from afar, is very important to us. Whatever you have to say, positive or negative we are keen to hear your thoughts. This is so important for us in refining and improving the event. Certainly, the honest feedback we have received over the years has been instrumental in polishing our other events. So, please don’t be shy and get in touch with your comments. 52km, 4000m, 4 Munros – Are you ready? Here’s a little celebration of a splendid 20th Anniversary edition of the #GL3D. Tag someone you know would like to join us in 2019 🏃‍♀️🏃‍♂️😀 Did you enjoy your weekend of classic Lakeland journeys, coffee, cake, camping, lake dipping, and making new friends? Ourea Events’ races are located in Britain’s greatest upland areas that often contain features of outstanding biodiversity value and importance. Occasionally, the features that provide this interest can be vulnerable to the wear and tear that may result from the passage of event participants. The risk of ecological damage is carefully assessed during early stages in the planning process for each event, when every effort is made to avoid sensitive ecological interest areas that could be disturbed by the event. We are keen to encourage personal route selection choices by participants on our events to further avoid the risk of local ecological disturbance. This Ecological Briefing Note has been prepared for the 2018 10Peaks Brecon Beacons event to identify key ecological interest features that contribute to the special character of the event area, with route selection comments to help minimise the risk of localized ecological disturbance. The 2018 10Peaks Brecon Beacons event area is located within the Brecon Beacons National Park, extending across an area of varied sedimentary geology with distinctive glacial landforms. The great variety of rock types and topography within the event area is reflected in a variety of upland wildlife habitat and vegetation types. Extensive tracts of significant upland habitat and vegetation are present, including areas of national and international nature conservation importance. The courses pass through landscapes of distinctive geological character, including a complex series of limestone and gritstone strata to the west of the event area, and the striking landforms of glaciated old red sandstone to the east. The 2018 10Peaks Brecon Beacons courses pass through areas of high nature conservation importance, crossing various types of upland grassland, blanket bog, streams and rivers. Of particular interest are several locations known for their striking arctic alpine flora. These include one area of International nature conservation importance, and three areas of National nature conservation importance. The majority of the 2018 recon Beacons 10Peaks route will follow existing hill paths, helping to avoid the risk of disturbance to sites and features of special nature conservation interest. 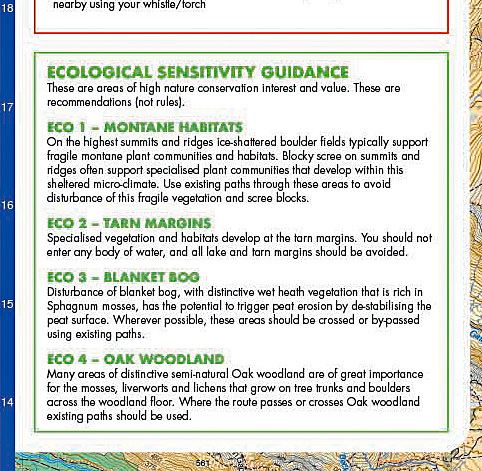 For localised situations where event participants might be required to pass through areas of land not crossed by hill paths this ecological briefing note should be used to support personal route choices that will avoid the risk of significant ecological disturbance. This ecological briefing note has also been produced to communicate the special upland environmental interest of the event area to enrich the experience of participating in the 2018 10Peaks Brecon Beacons event. Dry acid grassland is a widespread vegetation type within the event area, where centuries of livestock grazing has converted heather moorland to open grassland. These areas generally provide a robust vegetation surface that can withstand the trampling effects of hill running. Specialised arctic-alpine plant species are present at locations within dry acid grassland on higher level, north-facing slopes within the event area. These species are part of a relict post-glacial flora that survives in the British uplands and comprises some of the most highly valued nature conservation sites in the Brecon Beacons National Park. It is important to avoid vegetation disturbance wherever possible in the event that route choices might involve crossing steep, north-facing slopes. Nutrient-rich groundwater can appear as springs on high level, steep slopes where vegetation rich in specialised arctic-alpine moss and liverwort species can be present. Wherever possible, route choices should avoid disturbance to these features. Areas of wet acid grassland will be encountered on courses where impeded drainage occurs within relatively level acid grassland areas or where groundwater emerges at the surface as seepages across more steeply sloping ground. Wet acid grassland can be of special nature conservation interest, in particular where groundwater seepages provide conditions for communities of specialised mosses, liverworts and other plants. These vegetation types can be vulnerable to persistent disturbance effects of trampling and should ideally be avoided wherever possible by selecting routes that keep to dry acid grassland to by-pass wet grassland patches. Wet acid grassland at groundwater seepages on steep ground can be difficult to avoid where they cross valuable contouring lines. Complete avoidance of these areas could involve a significant route change and deviation from the desired contour level. Despite this, it would be ideal if damage to seepage zone vegetation could be minimised, often located within shallow gulleys, re-entrant features or associated with ground level rock outcrops that cross steep slopes. Boulders, ground-level rock outcrops and patches of better drained vegetation should be used as stepping stones to pass through areas of wet acid grassland wherever possible. Dry calcareous grassland is a locally extensive vegetation type within the western part of the event area, occurring as hill pasture over limestone and lime-rich moraine deposits. This vegetation type is often accompanied by low rock outcrops and scree slopes. Dry calcareous grassland within the Brecon Beacons is an important vegetation type and includes several uncommon upland plant species. Vegetation of this type generally forms on relatively shallow soils and as such can be quickly eroded by trampling. Some of the highest quality grassland of this type develops on shallow soils over limestone rock outcrops and within areas of limestone scree and these features are especially vulnerable to erosion. Care should be taken with route selection through areas with grassland, limestone rock outcrop and scree to avoid excessive vegetation wear, especially when negotiating vegetated outcrops and scree. On hillsides, soil movements within dry acid and calcareous grassland areas can develop well-defined micro-terrace systems, often referred to as sheep walks or trods. These typically follow the contours and can provide extremely useful running lines. Grassland vegetation at the edge of these micro-terraces is often friable and easily dislodged. Care should be taken when using these features for contouring to avoid running on the edge of these terraces to minimise grassland damage. Areas of saturated ground are widespread features where groundwater issues into terrace formations. These locations are especially vulnerable to running damage and should be avoided where possible. Heather moorland is relatively localised within the Brecon Beacons. Where present, this vegetation type typically forms on relatively well-drained soils and can sustain high levels of trampling. Where courses cross heather moorland on sloping ground there is a greater risk of trampling damage to vegetation, especially where well-used routes that cause corridors of soil erosion create a risk of gulley formation. Blanket bog is an important feature of several locations within the event area. Many of these areas comprise degraded blanket bog with peat erosion gulleys forming where bog vegetation has been lost and the underlying peat is being eroded. Vegetation loss may have been caused by a variety of factors in the past such as air pollution, moorland management with burning and drainage, but the resulting loss of peat and blanket bog vegetation is an important conservation management issue for the Brecon Beacons National Park. In some situations, the bare peat exposed in erosion gulleys may have become stabilised, allowing a slow recovery of blanket bog vegetation that will eventually help to prevent the continued loss of peat through erosion. More locally, areas of high quality, intact blanket bog are present within the event area. These comprise vegetation with a high proportion of Sphagnummosses on deep peat with limited evidence of peat erosion and gulley formation. Disturbance of recovering blanket bog by runners churning through peat erosion gulleys has the potential to trigger further peat erosion by de-stabilising the peat surface. Wherever possible, route choices in these areas should try to link the strips and patches of surviving moorland vegetation between the peat gulleys. These are often quite well-drained, providing areas of relatively robust vegetation and resistant to the trampling effects of running. If crossing peat gulleys is unavoidable, routes should try to link cushions of remnant moorland vegetation as ‘stepping stones’ across the bare peat surfaces. In some situations, the extent of peat erosion has been sufficient to expose the bedrock and glacial material underlying the peat. Running on this material is unlikely to cause significant harm to recovering peat surfaces. Limestone pavement is present at locations to the west of the event area, providing features of considerable nature conservation importance. The main ecological interest within this area is associated with communities of mosses, ferns and other plants that utilise the special microclimate of deep cracks (grykes) within the limestone pavement. Their location deep within the limestone pavement will ensure that they are protected from disturbance by runners. Occasionally, patches of limestone grassland are present on the surface of the pavement and these are vulnerable to fragmentation by disturbance from runners and should be avoided if possible when selecting routes across limestone pavement areas. In addition to their botanical interest, limestone pavements are of considerable geological interest. Weathering the limestone surface has formed a variety of finely sculpted rock flutings and runnels with friable edges that could be easily snapped off when running across the pavements. This risk should be considered when selecting routes in the limestone pavement area. The event area contains a complex network of streams and rivers, some of which are potentially vulnerable to ecological disturbance from repeated crossing by runners. In particular, stream channels within the event area that cross limestone bedrock have the potential to support valuable populations of a highly protected aquatic invertebrate species called the White Clawed Crayfish. This animal is generally inactive during the day, and if present during the 2018 10Peaks Brecon Beacons event will be sheltering in burrows excavated into stream margins. Other important mammal species may be present along stream margins, including Otter and Water Vole. Wherever possible, stream crossings should avoid sliding down banks into streams to avoid the potential for disturbing the stream margin burrows and resting places of these animals. Another event, another stonking weekend of weather! We really have had a run of good luck with our events this year (Marmot Dark Mountains™ in January, Silva Great Lakeland 3Day™ and the Cape Wrath Ultra® both in May), and I was delighted that 10Peaks™ The Lakes enjoyed an almost perfect combination of sunshine and cool breezes making for excellent running conditions on the fells. To be honest it also makes our life as the organising team much easier. Wet tents, soaking clothing and drenched equipment always exacerbates the challenge of delivering an event, not to mention extending the post event clean-dry-sort into weeks after the wettest weekends away. Our regular participants will have noticed that we have tinkered with the courses a little. We wanted to move away from a course defined rigidly by the 10 highest peaks, to a course that was defined by 10 excellent peaks, whilst keeping the soul of the established courses. It is a tricky balance. 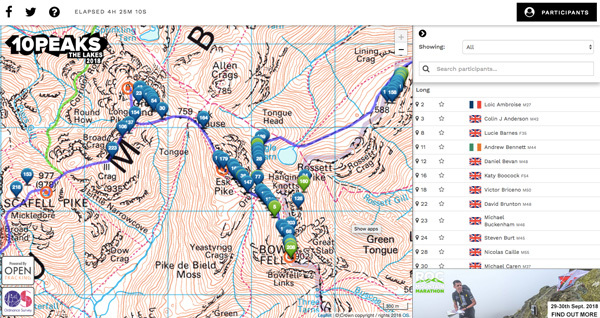 We think this has improved the runablity and the overall experience of the mountain journey, and it also gives us the potential to expand the event concept to other areas more easily (Anyone for the 10 highest peaks in Scotland… in 24-hours? I thought not!). Whilst not scientific the overall sense we got from participants was that they loved the refined courses this year. 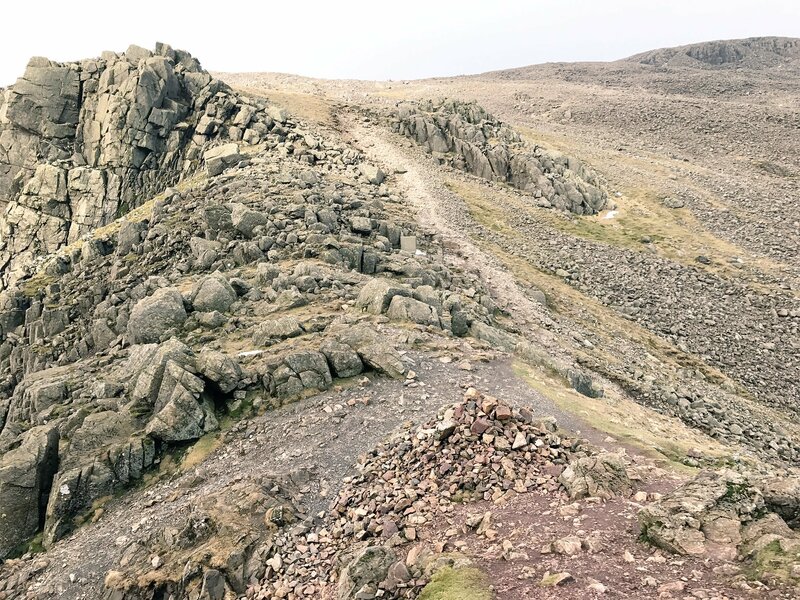 10Peaks The Lakes™ encounters some varied terrain including these rocky sections – all the more enjoyable! We’re glad to hear it and we enjoyed the event so much, we asked Steve Ashworth if he wouldn’t mind creating a video wrap-up of proceedings – spot anyone you know? This is a selection of photos taken throughout the event on 23rd June thanks to photographer Steve Ashworth. That’s 73km through the #LakeDistrict with 5000m height gain! 48km with 3200m height gain! Please check out our Facebook page to re-watch highlights of the action from ‘The Lakes’ in both photos and videos – and don’t hesitate to tag all those known to you in photos, share posts and your photos from the event. 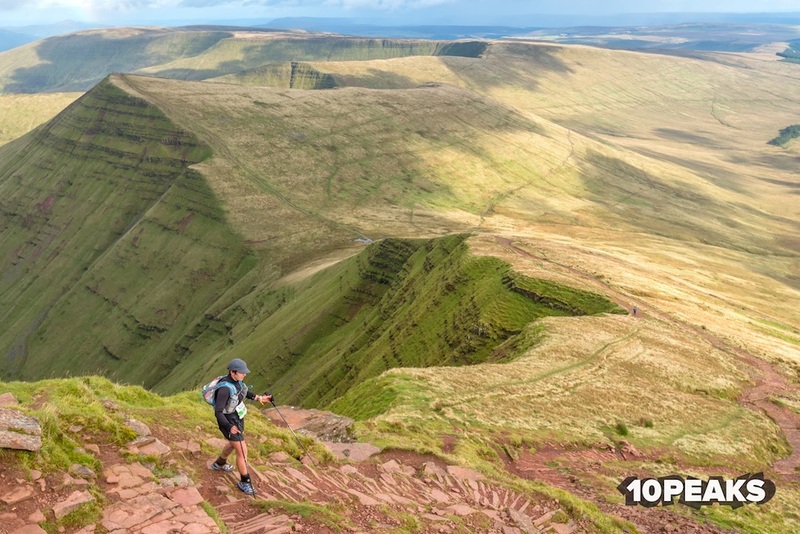 We hope you enjoyed 10Peaks The Lakes™, and will consider joining us in South Wales on the 14th July 2018 for 10Peaks Brecon Beacons. The event is based from the beautiful and remote YHA Dan y Wenallt, with two incredible courses traversing the finest mountains of South Wales. Like our Lakes event, 10Peaks Brecon Beacons includes GPS tracking, so your friends and family will be able to watch your exploits from the comfort of their home/pub/ etc. We are keen to encourage personal route selection choices by participants on our events to further avoid the risk of local ecological disturbance. This Ecological Briefing Note has been prepared for the 2018 10Peaks The Lakes event to identify key ecological interest features that contribute to the special character of the event area, with route selection comments to help minimise the risk of localized ecological disturbance. 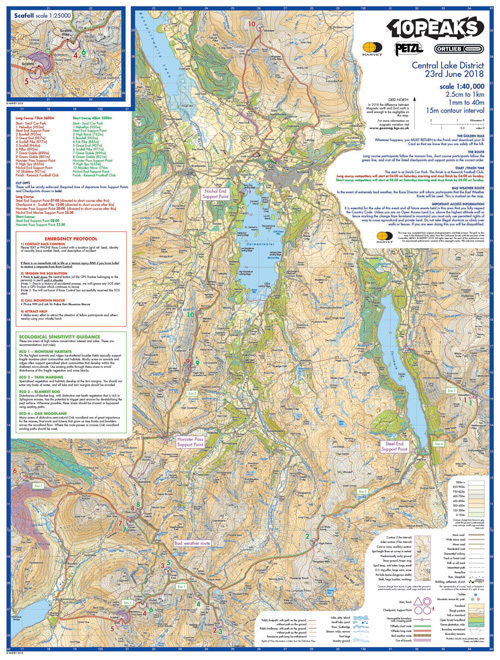 The 2018 10Peaks The Lakes event area is located within the northern and central fells region of the Lake District National Park, an area of sedimentary and igneous geology comprising the Skiddaw Group of slates and mudstones in the north and distinctive Borrowdale Volcanic rocks within the central and southern parts of the event area. The character of the event area landscape is strongly influenced by glacial action, creating a variety of distinctive ice scoured valley systems with glacial moraine deposits on lower slopes and ice-shattered boulder fields on the highest mountains. A variety of distinctive upland wildlife habitats and vegetation types are present within the 2018 10Peaks The Lakes event area. These include four extensive areas of International nature conservation importance, and 24 areas of National nature conservation importance. The majority of the 10Peaks The Lakes route will follow existing hill paths, helping to avoid the risk of disturbance to sites and features of special nature conservation interest. For localised situations where event participants might be required to cross areas of land not crossed by hill paths this ecological briefing note should support personal route choices that will avoid the risk of significant ecological disturbance. This ecological briefing note has also been produced to communicate the special upland environmental interest of the event area to enrich the experience of participating in the 10Peaks The Lakes event. Dry acid grassland is a widespread vegetation type within the event area, where centuries of livestock grazing has converted heather moorland to open grassland. These areas provide a relatively robust vegetation type that can generally withstand the trampling effects of hill running. Extensive areas of dry acid grassland can include mosaics of other upland vegetation types such as blanket bog, heather-dominated heath vegetation and wet acid grassland creating areas of local vulnerability to a concentration of trampling by 10Peaks The Lakes participants. Upland vegetation mosaics can be of interest to ground-nesting birds, and as a consequence, care should be taken to avoid nest disturbance when crossing these areas. Use of existing paths where possible will help to minimise the risk of nest disturbance. Blanket bog is an important feature at several locations within the event area. Some of these areas comprise degraded blanket bog where bog vegetation has been lost and peat erosion gulleys (peat hags) have formed where and the underlying peat is being eroded. Disturbance of blanket bog by runners churning through peat hags has the potential to trigger further peat erosion by de-stabilising the peat surface. Wherever possible, route choices in these areas should try to link strips and patches of surviving moorland vegetation between the peat hags. These are often quite well-drained, providing areas of relatively robust vegetation and resistant to the trampling effects of running. In contrast to areas of degraded blanket bog, some locations on plateau landforms within the event area contain patches of high quality blanket bog with an intact vegetation surface that lack eroding peat hags. These are typified by areas of wet heath vegetation interspersed with shallow pools, often associated with Sphagnum These areas often comprise a mosaic of vegetation types that will include slightly raised areas of better drained peat with drier heather moorland vegetation. These will be far less vulnerable to disturbance through vegetation damage by trampling and should ideally be selected when making route choices for running through these intact blanket bog areas. Areas of wet acid grassland will be encountered where impeded drainage occurs within relatively level hill grassland areas or where groundwater emerges at the surface as seepages across more steeply sloping ground. Wet acid grassland can be of special nature conservation interest, in particular where groundwater seepages provide conditions for communities of specialised mosses, liverworts and other specialised plants. These vegetation types can be vulnerable to persistent disturbance effects of trampling and should ideally be avoided wherever possible by selecting routes that keep to dry acid grassland to by-pass wet grassland patches. Wet acid grassland at groundwater seepages on steep ground can be difficult to avoid where they cross valuable contouring lines. Avoidance of these areas could involve a significant route change and deviation from the desired contour level. Despite this, it would be ideal if damage to seepage zone vegetation could be minimised, often located within shallow gulleys, re-entrant features or associated with ground level rock outcrops that cross steep slopes. On hillsides, soil movements within dry and wet acid grassland areas can develop well-defined micro-terrace systems, often referred to as sheep walks or trods. These typically follow contours and can provide extremely useful running lines. Grassland vegetation at the edge of these micro-terraces is often friable and easily broken off. Care should be taken when using these features for contouring to avoid running on the edge of these terraces to minimise grassland damage. Distinctive semi-natural woodland of very high conservation interest is present within the event area, including broadleaved woodland within steep-sloping ravine landforms associated with upland streams and rivers. Many of the broadleaved woodlands are of great importance for the mosses and liverworts that grow on tree trunks and boulders on the woodland floor. The microclimate of ravine woodlands often maintains vegetation comprising highly specialised mosses, liverworts and other plants. The 10Peaks The Lakes route generally avoids the need to pass through or in close proximity to key areas of upland semi-natural woodland interest. Where the route passes small upland woodland fragments it is important that existing paths are used. A variety of boulder field and scree habitats are present within the event area that are potentially vulnerable to disturbance. Ice-shattered boulder fields on the highest mountain tops often support fragile montane grass-heath plant communities of extremely high nature conservation value. Existing paths through these areas should be used to avoid disturbance of these communities. Blocky scree often supports specialised plant communities that utilise the microclimate of sheltered spaces within the scree. Sections of the 10Peaks The Lakes route that cross these features should use existing paths and should always minimise disturbance of scree blocks. Specialised rock ledge plant communities are present at a number of locations within the event area. If 10Peaks The Lakes participants need to negotiate low rock outcrops great care should be taken to minimise disturbance of ledge vegetation. The event area has a substantial number of lakes and hill tarns that are generally of considerable nature conservation interest. Often this interest is associated with complex and specialised vegetation areas that develop at the margins of both large lakes and smaller hill tarns. There is no need for 10Peaks The Lakes participants to enter any water body within the event area, and all lake and tarn margins should be avoided. The event area contains a complex network of streams and rivers, some of which are potentially vulnerable to ecological disturbance from repeated crossing by runners. Some of the rivers within and surrounding the event area are covered by very high level nature conservation designations, including watercourses that could support internationally and nationally threatened animal species such as otter and water vole. In many cases, the nature conservation interest of these rivers and streams concerns use of the banksides by these animals. As a consequence, great care should be taken by 10Peaks The Lakes participants at stream crossings, preferring the use of bridges and stepping stones to minimise bank disturbance when entering and climbing out of stream channels. We’re delighted to incorporate the salient points of the above into a new-for-2018 information panel, which sits natively on the race map that participants are issued at registration. When we took on the two 10Peaks™ events at the end of 2016, we decided to change very little for 2017, and adopt an approach of delivering the event first in the Lake District, and now in the Brecon Beacons. 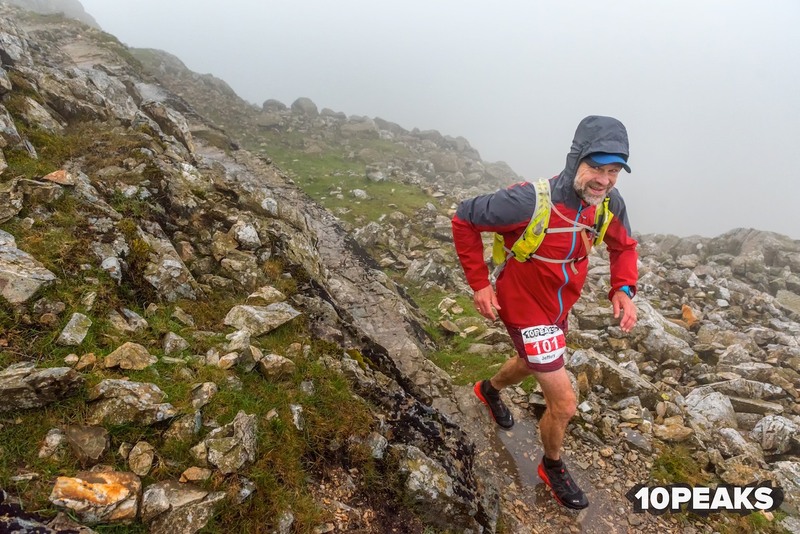 Certainly, this weekend in South Wales proved to be a tough test for the runners, and I want to congratulate everyone who braved the challenging weather on the top. Bravo! Congratulations to all who took on the 10Peaks Brecon Beacons long & short course challenges this weekend – entries for 2018 open late autumn! 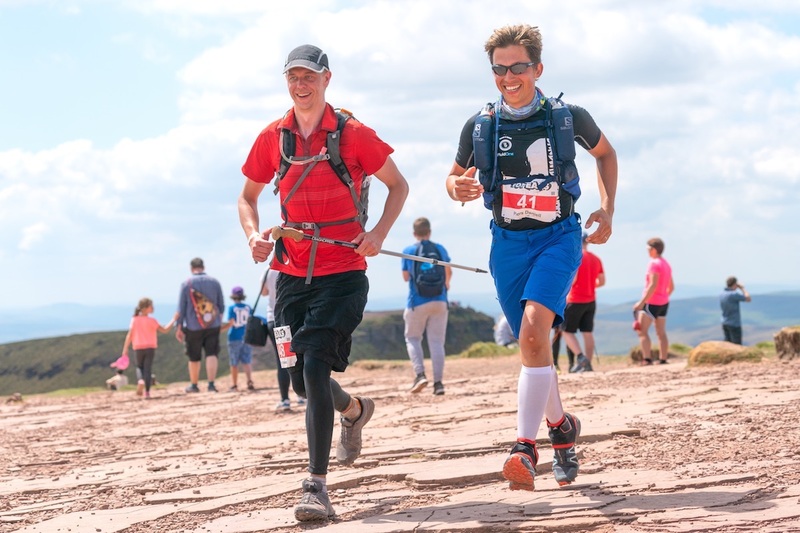 Paul Smith who started 10Peaks The Lakes, and Mark Bottomley who organised 10Peaks Brecon Beacons have done a great job establishing two popular and hard mountain running races. Following in their footsteps was never going to be easy, but I pleased to say that in 2017 we have kept these races going, and my thoughts now turn to the future. There are various incremental changes and improvements that I’d like to make. I won’t wager them now, until we have had the opportunity to reflect on the feedback, but simple things like improving the efficiency of the drop back return are easy wins for everyone. Of course, there are the step changes are under consideration to. We certainly have a vision for where the ‘event brand’ could go in the future, and we do have some exciting plans for developing the existing races, and potentially some new 10Peaks events in 2018. If you are on our email database you’ll be the first to hear about the developments. The fight for the outright win was very tight for the leading men on the Long Course. All the top three finished just seconds apart. Despite strong running from all three, route choice proved to be the decisive factor. Matt and Robin finished simultaneous, but due the rolling start, Matt had a one second lead, and generously asked for one second penalty so that Robin and he could be equal winners. The spirit of ultra-running in the mountain exemplified. There was impressive running from the leading ladies on the Short Course, with five finishing in the top twenty. I hope that Wendy will take this a compliment (certainly, it was meant that way), but several the male runners who finished just after her, described her as a ‘beast’ for the speedy run into the finish. Well done everyone. Replay GPS Tracking – choose your runners via ‘the cog’ and scrub through the course to see route choices (sorry, desktop browsers only). Please tag directly in the photos anyone you recognise! Don’t forget to have a browse through both our Instagram and Twitter profiles too and follow to keep up to date ahead of 2018! We hope you enjoyed 10Peaks Brecon Beacons, and will consider joining us in the Lake District in 2018 for 10Peaks The Lakes. The event is based from Keswick and the stunning courses take in some of the most iconic mountains in England including the highest; Scafell Pike. 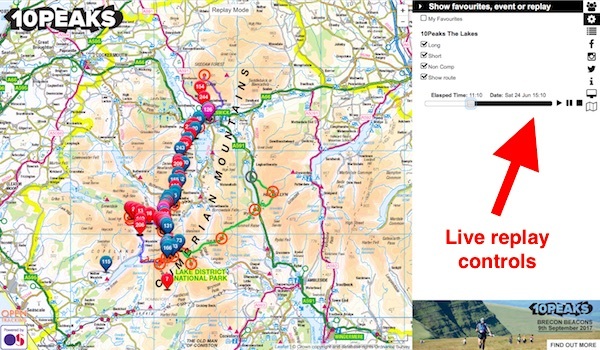 Like our Lakes event, 10Peaks The Lakes includes GPS tracking, so your friends and family will be able to watch your exploits from the comfort of their home/pub/ etc. 68% finish rate 👏 – that was a tough 10Peaks™ The Lakes challenge. 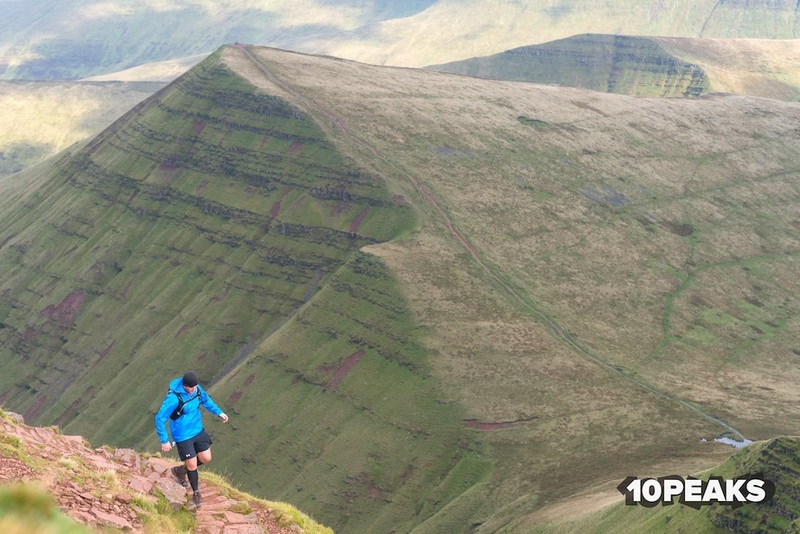 Now, who’s game for 10Peaks™ Brecon Beacons? Feedback from anyone who engaged with the 2017 race, from participants through to audiences keeping updated via news/social media/tracking from afar, is very important to us. Whatever you have to say, positive or negative we are keen to hear your thoughts. This is so important for us in refining and improving the event. Certainly, the honest feedback we have received over the years has been instrumental in polishing our other events. So, please don’t be shy and get in touch with your comments. 1) Marmot Dark Mountains – January 2018 – do you dare take on the UK’s only winter overnight mountain marathon? 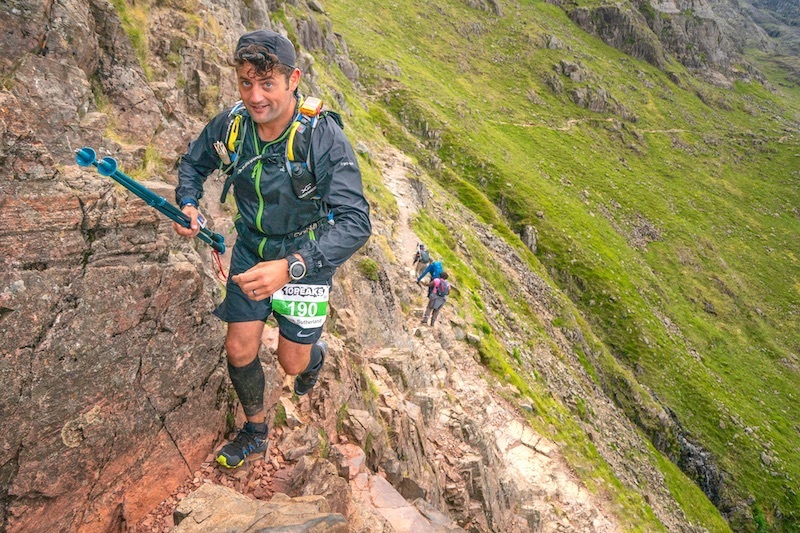 2) SILVA Great Lakeland 3Day™ – May 2018 – an adventurous three-day mountain marathon with a unique, relaxed and friendly atmosphere that attracts both runners and long-distance walkers. We are keen to encourage personal route selection choices by participants on our events to further avoid the risk of local ecological disturbance. This Ecological Briefing Note has been prepared for the 2017 10Peaks™ Brecon Beacons event to identify key ecological interest features that contribute to the special character of the event area, with route selection comments to help minimise the risk of localized ecological disturbance. The 2017 10Peaks™ Brecon Beacons event area is located within the Brecon Beacons National Park, extending across an area of varied sedimentary geology with distinctive glacial landforms. The great variety of rock types and topography within the event area is reflected in a variety of upland wildlife habitat and vegetation types. Extensive tracts of significant upland habitat and vegetation are present, including areas of national and international nature conservation importance. The courses pass through landscapes of distinctive geological character, including a complex series of limestone and gritstone strata to the west of the event area, and the striking landforms of glaciated old red sandstone to the east. The 2017 10Peaks™ Brecon Beacons courses cross areas of high level nature conservation importance, crossing various types of upland grassland, blanket bog, streams and rivers. Of particular interest are several locations known for their striking arctic alpine flora. These include one area of International nature conservation importance, and three areas of National nature conservation importance. The majority of the 2017 10Peaks™ Brecon Beacons route will follow existing hill paths, helping to avoid the risk of disturbance to sites and features of special nature conservation interest. For localised situations where event participants might be required to cross areas of land not crossed by hill paths this ecological briefing note should be used to support personal route choices that will avoid the risk of significant ecological disturbance. 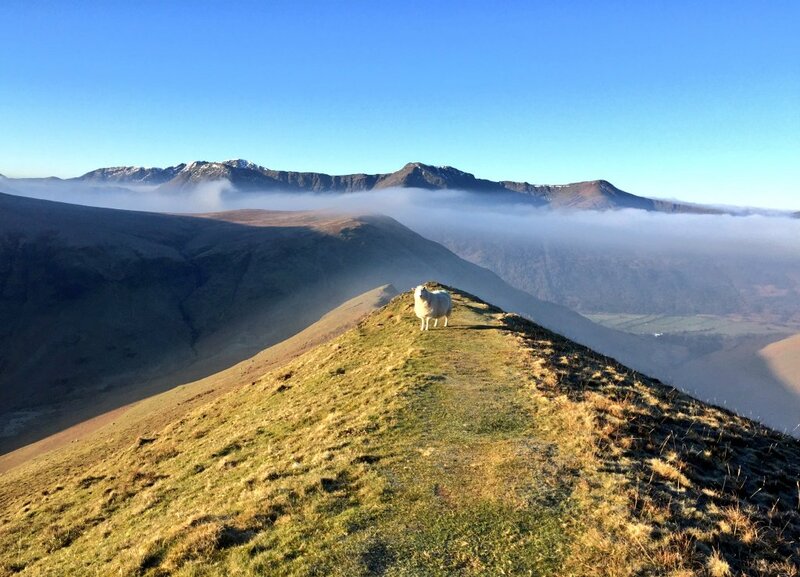 This ecological briefing note has also been produced to communicate the special upland environmental interest of the event area to enrich the experience of participating in the 10Peaks™ Brecon Beacons event. Specialised arctic-alpine plant species are present at locations within dry acid grassland on higher level, north-facing slopes throughout the event area. These species are part of a relict post-glacial flora that survives in British uplands and comprises some of the most highly valued nature conservation sites in the Brecon Beacons National Park. It is important to avoid vegetation disturbance wherever possible in situations where route choices involve crossing steep, north-facing slopes. Wet acid grassland at groundwater seepages on steep ground can be difficult to avoid where they cross valuable contouring lines. Complete avoidance of these areas could involve a significant route change and deviation from the desired contour level. Despite this, it would be ideal if damage to seepage zone vegetation could be minimised, often located within shallow gulleys, re-entrant features or associated with ground level rock outcrops that cross steep slopes. Dry calcareous grassland is a locally extensive vegetation type within the western part of the event area, occurring as hill pasture over limestone and lime-rich moraine deposits. This vegetation type is often accompanied by low rock outcrops and scree slopes. Dry calcareous grassland within the Brecon Beacons is an important vegetation type, and includes several uncommon plant species. The vegetation typically forms on relatively shallow soils and as such can be quickly eroded by trampling. Some of the highest quality grassland of this type develops on shallow soils over limestone rock outcrops and within areas of limestone scree and as such are especially vulnerable to erosion. Care should be taken with route selection through areas with grassland, limestone rock outcrops and scree to avoid excessive vegetation wear, especially when negotiating vegetated outcrops and scree. Heather moorland is relatively localised within the Brecon Beacons. Where present, this vegetation type typically forms on relatively well-drained soils and can sustain relatively high levels of trampling. Where courses cross heather moorland on sloping ground there is a greater risk of trampling damage to vegetation, especially where well-used routes that cause corridors of soil erosion create a risk of gulley formation. Blanket bog is an important feature of several locations within the event area. Many of these areas comprise degraded blanket bog where peat hags (erosion gulleys) have formed where bog vegetation has been lost and the underlying peat is being eroded. Vegetation loss may have been caused by a variety of factors in the past such as air pollution, moorland management with burning and drainage, but the resulting loss of peat and blanket bog vegetation is an important conservation management issue for the Brecon Beacons National Park. In many cases, the bare peat exposed in hags may have become stabilised, allowing a slow recovery of blanket bog vegetation that will eventually help to prevent the loss of peat through erosion. More locally, areas of high quality, intact blanket bog are present within the event area. These comprise vegetation with a high proportion of Sphagnum mosses on deep peat with limited evidence of peat erosion and gulley formation. Limestone pavement is present at locations to the west of the event area, providing features of considerable nature conservation importance. The main ecological interest within this area is associated with communities of mosses, ferns and other plants that utilise the special microclimate of deep cracks (grykes) within the limestone pavement. Their location deep within the limestone pavement will ensure that they are protected from disturbance by runners. Occasionally, patches of limestone grassland are present on the surface of the pavement and these are vulnerable to fragmentation by disturbance from runners, and should be avoided if possible when selecting routes across limestone pavement areas. In addition to their botanical interest, limestone pavements are of considerable geological interest. Weathering the limestone surface has formed a variety of finely sculpted rock flutings and runnels with friable edges that could be easily snapped off when running across the pavements. This risk should be considered when selecting routes in the limestone pavement area. The event area contains a complex network of streams and rivers, some of which are potentially vulnerable to ecological disturbance from repeated crossing by runners. In particular, stream channels within the event area that cross limestone bedrock have the potential to support valuable populations of a highly protected aquatic invertebrate species called the White Clawed Crayfish. This animal is generally inactive during the day, and if present during the 2017 10Peaks™ Brecon Beacons event will be sheltering in burrows excavated into stream margins. Other important mammal species may be present along stream margins, including Otter and Water Vole. Wherever possible, stream crossings should avoid sliding down banks into streams to avoid the potential for disturbing the stream margin burrows and resting places of these animals. Taking on an event that has built up a great reputation and a loyal following is never going to be an easy task, and I’ll admit to feeling a little nervous as the days ticked down to our first 10Peaks in the Lake District this June. Paul Smith who started 10Peaks The Lakes, and Mark Bottomley who organised 10Peaks Brecon Beacons were both due to take part. When we took on the two 10Peaks events at the end of 2016, we decided to change very little for 2017, and adopt an approach of organising the first event in the Lake District, before making any significant changes, if indeed, any changes were required. We have a vision for where the ‘event brand’ could go in the future, and we do have some very exciting plans for developing the existing races, and potentially some new 10Peaks events in 2018. If you are on our email database you’ll be the first to hear about the developments. 68% finish rate! – that was a tough 10Peaks™ The Lakes challenge. My role as the Race Director is multifaceted but safety, fluid logistics, and fairness are primary considerations. At 10Peaks The Lakes, safety is managed via safety monitoring of the GPS tracking data, and from information coming back from checkpoints and the three support points. We also have a dedicated First Response Team able to respond to any emergency as required (fortunately they had a quiet weekend). Fluid logistics for this event are really about making sure the support points and checkpoints are in place and ready for the leading runners, whilst also being there for the last runner. I’ll admit to feeling a little nervous as Andrew Berry stormed towards Scafell Pike, as our marshal team walked in… the marshals got there about 20 minutes before Andrew! Fairness is important to me, and I strongly believe that ensuring that there is parity across the event and between all participants is key to long-term viability and good reputation of any event. I believe that being a good Race Director means stepping back from the moment, taking an overview and ensuring that the structure and parity of the event is maintained. That structure is created from many aspects of the event set up; the rules, the start/finish times, cut-offs, etc. all of which combine to give the event its identity. Without this structure, there would be no coherent event. This also means that I will not just change the rules adhoc. Whether this relates to someone missing registration, missing a mandatory kit item, missing the bus, or missing a cut-off, my role is occasionally to apply strict fairness and parity. I am looking forward to sharing our plans for 10Peaks events with you all later this year. We hope you enjoyed 10Peaks The Lakes, and will consider joining us in South Wales on the 9th September 2017 for 10Peaks Brecon Beacons. The event is based from the beautiful and remote YHA Dan y Wenallt, with two incredible courses traversing the finest mountains of South Wales. Like our Lakes event, 10Peaks Brecon Beacons now includes GPS tracking, so your friends and family will be able to watch your exploits from the comfort of their home/pub/ etc. The inaugural Salomon Ben Nevis Ultra proved to be a massive test of runner’s determination with the unusually wet summer making conditions tough under foot, for the ~120km race through Scottish Glens, and over the UK’s highest mountain; Ben Nevis. Edinburgh athlete Donald Campbell won the men’s race, with Nepal’s Mira Rai dominating the women’s race to finish 5th overall. The 2017 event is a wrap! Thanks for coming – how did you find it? Maybe you missed out this year – fancy joining us in 2018? Our intention is to return to the Lakes for the same last weekend of June weekend in 2018 (23-24th June 2018). We will of course confirm this date when we open the entries ASAP – keep informed. Check out the pre-2017 records.